So many DIYs, only one week to do them! If you don’t want to read all this, (and I’m not insulted), skip to the bottom for some real info about upcoming projects and a refashion question or 2 for you! Hello everyone! It has been SO LONG! 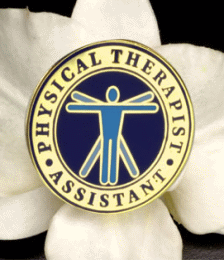 I do apologize for being MIA for so long, I have finally finished my first quarter of PTA school. I think I did really well, I do not know all my grades yet, but they would have contacted me if I failed anything 🙂 I was taking 3 classes, Introduction to Physical Therapy, Medical Terminology, and Anatomy + Physiology 1. Intro was not the funnest class ever, in fact it was rather dull for most of the quarter, good thing I had a fun teacher. Medical Terminology was even more intense then the class I took for Massage Therapy, I wasn’t expecting so much extra info. Plus all the abbreviations! Hundreds of them I need to know, I’ll have to keep studying those all year round. And A+P, not done yet! It continues for round 2 next quarter, along with Rehab 1. Finally we can start learning about what PTAs really do in the field. I’m pretty excited! So not only is my first quarter finished (yay! ), I have a week off (double yay! ), for me to have fun finishing up some projects! Trust me, I have a massive list! On this list is a few tutorials I promised you guys, but near the end there I had to study for finals, so not much time, plus a few extra projects I was finishing up! So I’ll share with you a few things to expect from me in the coming month, as well as any changes that have happened so you can stop “waiting” to hear anything. Who remembers my Year of Something New? Well, my sister had her babies back on May 4th (i’m an auntie! ), and now this is really a year of something new, except its mainly all baby related haha! Its ok, I don’t mind it, I am enjoying all the days and hours I am spending with my new niece and nephew. Sorry no photos, their rule, not mine. So while things are certainly new, they aren’t the crafty things I had originally planned, and I am not able to share as much with you all as I had hoped. I will hopefully someday share some of the items I have made for them, as well as other gifts down the rode. But this blog will not turn into all babies all the time, so thats good! I have finally started a long overdue wedding gift, it took me a long time to really pick what I wanted to give this bride. Some people are just easy, but I love to handmake gifts and I think those are the nicest gifts because I make them personalized. So anyways, I have officially made the decision for a wedding I was in a few months ago, and have already started it. When I finish and gift it, I will share it with you, its a 2 piece gift! Then I have another gift that’s more extensive, I want to start and finish as well. I at least hope to finish half of it, though according to the “directions” it should only take about 2 hours. I am also in the process of making a Blurb photobook and a Shutterfly photo book. If you are not signed up for either email list, do it now! I will share those with you when I finish, I’ve been hoping to do a comparison one I finish my Blurb book, but again I couldn’t decide on a subject, and I tend to add too many things to my plate and that was one of them! So this week that is also on the list! PS. Through 6/30 Blurb is offering 15% off a book! Follow the link below to order your book now! This is my affiliate link and I will earn a small percentage if you buy through my link, and I thoroughly appreciate when you do. Oh, I also have a massive selection of refashions I want to work on! I even made a list of everything involving clothes that I want to paint or sew in some way. I still have a sweatershirt I want to trim down so its more fitted, its like an XL but its from University of Dayton (where I graduated) so it’d be nice to wear it and it fit, you know? I also trimmed down another hoodie that I have wanted to paint but couldn’t pick a design, I wanted to paint the front pocket black and added a toilet paper stencil, but instead I think I have picked a wrap-around design with no black included! Maybe some glitter though! I also would like to know, what are your thoughts on cutting sleeves off jean jackets? I have this jean jacket I bought a few years ago at a garage sale for a few bucks, never worn it! I have no idea how to wear jean jackets, is the jean color supposed to match? Anyway, this jacket fits ok, but I was thinking of cutting off the sleeves or maybe making it short sleeved because it fits awkward at the shoulders. You just check this out, I love the pockets so I don’t want to crop it. Oh and the color is a dark bluish yellowy greeny, know what color I’m talking about? Neither photo I could enhance to get the right color, the left is much too blue, and the right I didn’t get any change. If you can see in the photo, by the shoulders it looks tight just laying flat, thats kinda how it feels. I was hoping cutting off the sleeves, maybe adding lace sleeves? Would solve the tightness problem. Thoughts anyone? Looking forward to sharing with everyone soon! 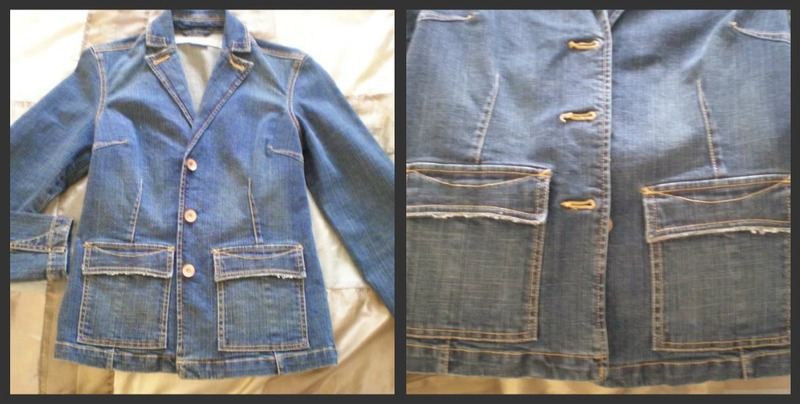 This entry was posted in DIY, PTA, Recipes, Refashion, Sewing, Tutorial, Year of Something New and tagged blog update, clothing, DIY, jean jacket refashion, refashions, sewing, style, tutorials, year of something new on June 24, 2013 by christinapertz1. Is anyone else obsessed with appliques? They can completely alter a piece of clothing or other piece of fabric with just a few stitches or the heat of an iron! Didn’t really mean to make this all about lace appliques, but they are pretty, aren’t they? See these and more refashions on my Pinterest boards. This entry was posted in DIY, Fashion, Pinterest, Refashion, Sewing and tagged appliques, clothing, fashion, lace, lace appliques, refashion, refashion fridays, sewing, style, tutorials on February 22, 2013 by christinapertz1. A new post series, Refashion Fridays, begins today. I will search through my Pinterest and favorite blogs, and anywhere I can to find some awesome ideas to share. And of course make you all crazy to try them yourself! I know that’s how I get whenever I am on Pinterest or find a really awesome DIY blog! To start today, we have Refashion Fridays: Jackets! That’s a wrap! Now go visit these blogs and show some love! This entry was posted in DIY, How-To, Inspirations, Refashion, Sewing, Tutorial and tagged blogs, coats, DIY, fashion, inspiration, jackets, refashion, sewing, style, winter on February 1, 2013 by christinapertz1. I’ve been on a refashion kick for awhile, and by on it I mean searching Pinterest and all the cool blogs I find! So I’m going to share with you guys some of the ones I hope to accomplish during my Year of Something New: April – Sewing! The Circle Top with 1 yard fabric! Instead of making it a dress, maybe I’ll just make a top. Would be cool to add the coordinating fabric as the sleeve. I’ve been wanting a top like this for awhile. They look so comfy! ok probably not with this fabric, but it looks easy enough, eh? So there’s a few ideas I am considering. Mainly the circle top though! Also, next week I will have a new tutorial for you guys! I made some gifts this week for my sister and Mom and I have to wait until after I gift them, then I will share! The gifts are sooo nice! This entry was posted in DIY, Fashion, How-To, Inspirations, Pinterest, Sewing, Tutorial, Year of Something New and tagged circle top, DIY, dolman top, fashion, knit fabric, pinterest, sewing, skirt, style, tutorial on January 19, 2013 by christinapertz1.